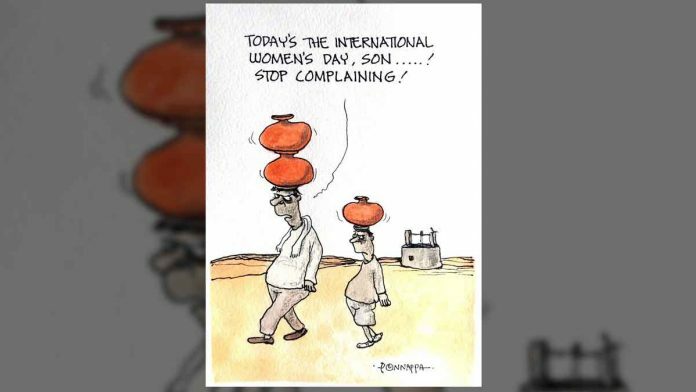 On International Women’s Day, Kirtish Bhat highlights the hypocrisy of the Indian society where men speak on behalf of women too. 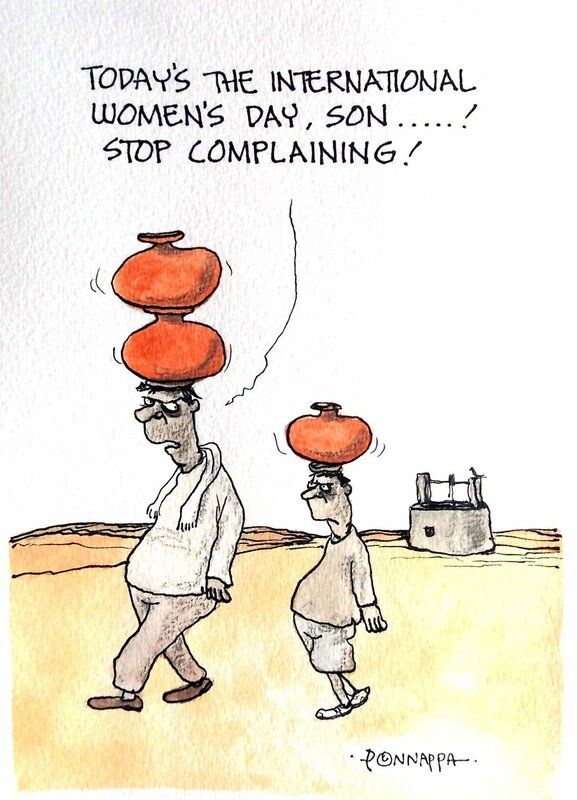 Ponnappa illustrates a man and his son fetching water in the ‘spirit’ of International Women’s Day. After attorney general K.K. 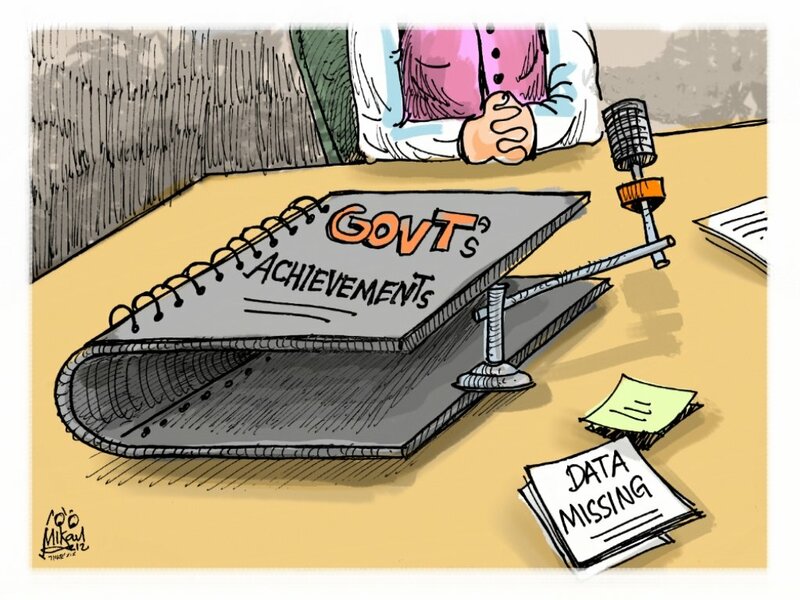 Venugopal admitted in the Supreme Court that certain defence ministry documents are missing, Mika Aziz takes a jibe at the Modi government’s empty ‘achievements’ file. 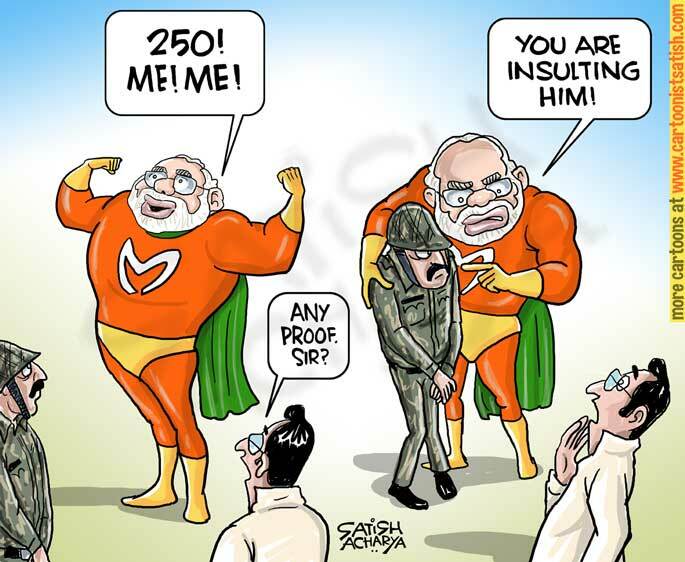 Satish Acharya takes a jibe at the Modi government’s propensity to take credit for the ‘250 terrorists killed’ in the IAF air strikes in Balakot, but directing all criticism towards the armed forces. 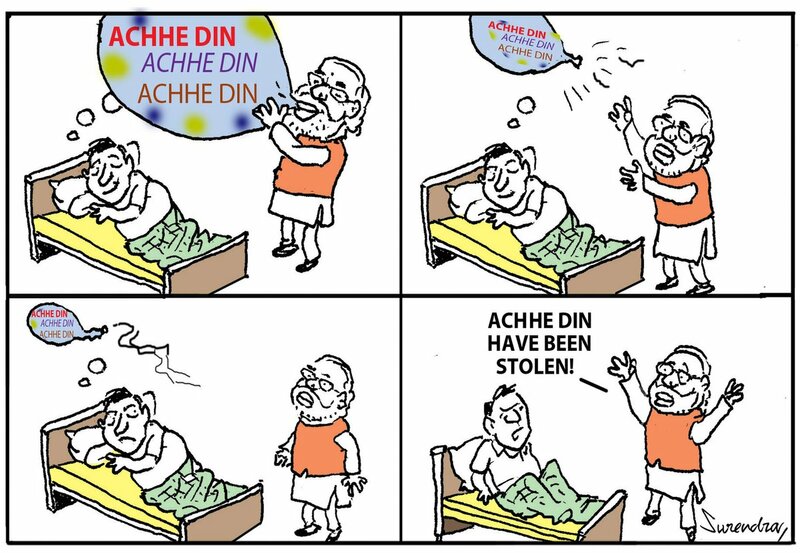 Taking a dig at Modi government’s promised ‘Achhe Din’, Surendra suggests that the ‘balloon’ of promises became too big to remain under control. 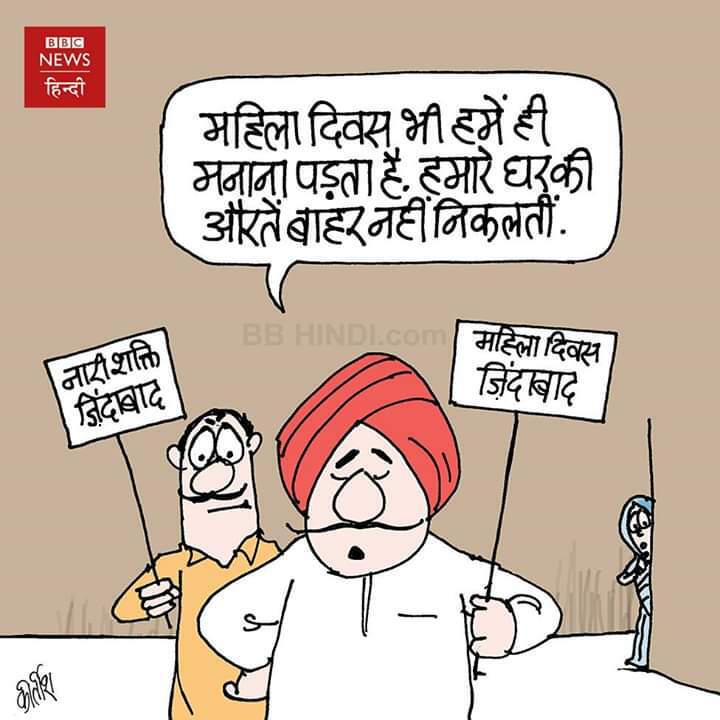 After the recent hacking of the party’s website, Arvind Teginnamath highlights BJP’s perpetual obsession of blaming all of India’s ills on former PM Jawaharlal Nehru. 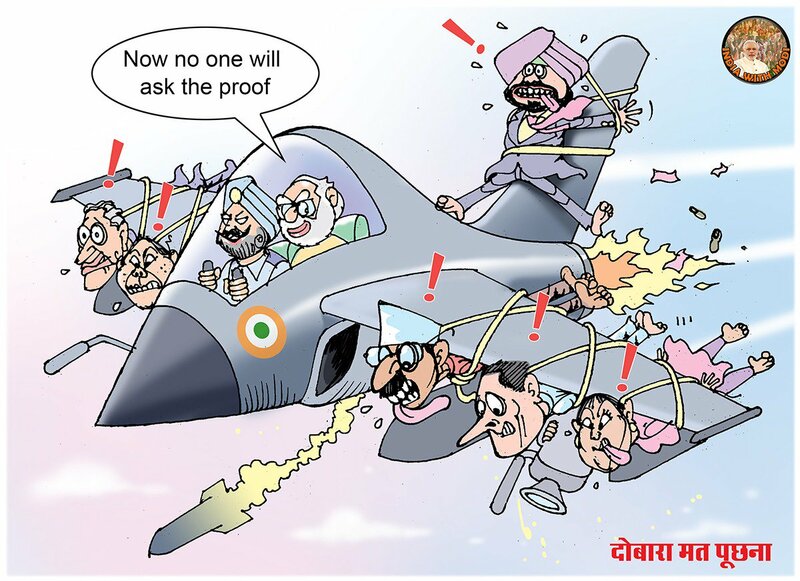 Manoj Kureel suggests that the Modi government is using the Indian Air Force after the strikes in Pakistan’s Balakot to vanquish its electoral rivals.